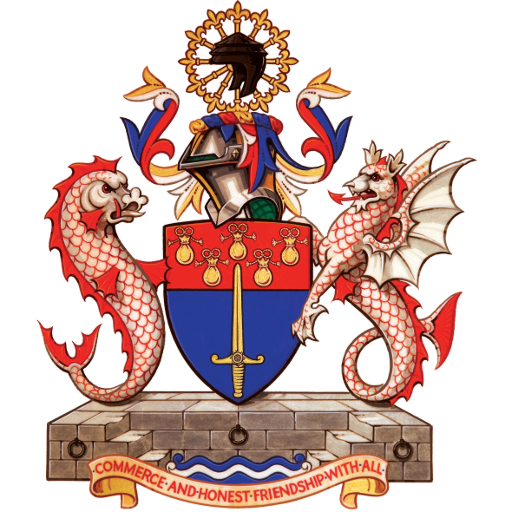 In 1877 merchants in the City formalised the daily trading of copper, a commodity becoming increasingly used in industry during the period of electrification, by creating the London Metals Exchange. Traders would gather to buy and sell between each other in a Ring. This was a continuation of a previous tradition of marking a ring in the sawdust of the coffee house floor. The buy/sell negotiation would be by ‘open outcry’ meaning that bids and offers could be seen and heard and the deal struck witnessed. Thus the final figure would be seen as a true price and usable as the reference for other copper transactions done for settlement on that date. With the introduction of the telegraph (and particularly submarine cables) in the second half of the 19th century, information regarding shipments from Chile (copper) and Malaya (tin) could be factored into the price negotiation. As it took three months for metal to arrive in London from these origins the practice of trading on the basis of the cash price or the three-month’s price became the standard. This continues to this day. It makes it possible for producers and consumers to fix their forward price in advance, known as hedging, although dates out to 27 months can now be traded. 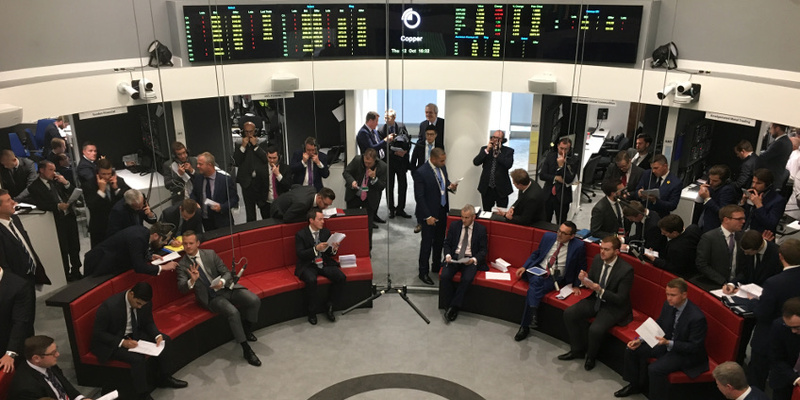 When they visited the London Metal Exchange on Thursday 12th October, one hundred and forty years on from 1877, World Traders were fascinated to find that most of the features of the original Exchange remain in place. The types and volumes of metal traded have increased dramatically and the Ring is now located in a modern building in Finsbury Square. But the traders still sit in a Ring and trade by open outcry. While participants are required to remain seated and to wear jackets and ties, in practice the process can hardly be described as genteel. Each metal ‘contract’ is traded for a period of five minutes. The strict time limit brings out the competitive spirit as traders become determined to book their order at the most favourable price. This results in a crescendo of shouting, with pointing and arm-waving. Arcane hand signals indicate price movements to the assistants behind, many of whom have developed a skill in talking on two telephones at once the better to transfer vital price information to the outside world. It was agreed that the visit illustrated many of the features that make the City so fascinating. An historic institution, evolving to meet the demands of constant change, now owned by HKEX Group but retaining vital features while remaining relevant to the needs of current world markets: that the LME remains by far the largest non-ferrous Metal Exchange in the world demonstrates a certain talent for adaptation at least. The adrenalin rush of the Ring seemed to be carried over to the Jugged Hare where, judging by the noise levels, members continued lively discussions while enjoying hearty fare and a glass of wine. We are grateful to the LME Chief Executive, Matthew Chamberlain and his team for arranging a most interesting visit and generously laying on drinks and refreshments in the boardroom afterwards.